1. Identify polygon and it's boundary. 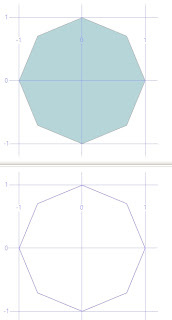 In this example I create a point and buffer it to create a polygon. 2. Add a buffer, with some buffer factor, around the border and create a new shape. 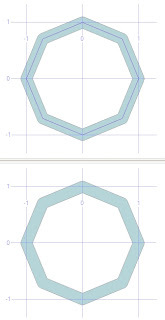 The the inner part of this buffer is going to get subtracted from the original polygon/shape. 3. 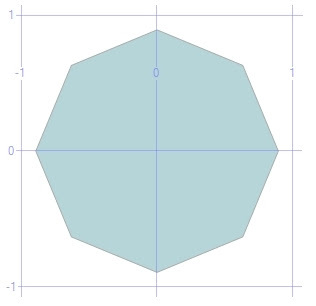 Identify the polygon/shape of the inner part of the buffer by getting the polygon that intersect the buffer and the original shape. 4. 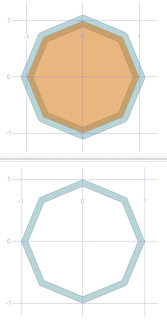 Subtract this overlapping polygon from the original shape and we get our desired results.